Winona Dentist. World Class Smiles! Our goal at River Hills Dental is to deliver gentle, comfortable dentistry at the highest level of quality. We utilize the latest in technology to give our patients the most pleasant experience possible. Pardon the pun, but "Word of Mouth" is the reason for our success. As you speak to patients that have visited our office you will find that we have often exceeded their expectations! Many years of dental care experience from our doctors has provided "Miles of Smiles". Prevention is the key to low cost, high quality dentistry. To that end, we employ the skills of seven dental hygienists, five dental assistants, four business assistants, and three doctors. All have special skills that ensure the best care for you and your family. Please feel free to call our friendly staff, stop by our office, or leave an e-mail concerning any questions you may have regarding your dental health. Come and join our family! We look forward to seeing you soon. River Hills Dental is pleased to announce the addition of Dental Therapist, Peter Degallier, to our practice! Peter has a life-long interest in dentistry; his father is Paul Degallier, who was a long-time dentist here at River Hills Dental! Peter and his wife, Hannah, recently moved back to Winona and are the proud new parents of baby boy, Oliver. Although Peter is the first Dental Therapist for our office and for Winona, Dental Therapists are not new to Minnesota. The Dental Therapist was created as a mid-level provider in Minnesota ten years ago in 2009 and was introduced to help improve access to dental care across the state. Similar to a Physician Assistant in the medical field that works under a Physician, a Dental Therapist can perform many dental services under the direction of a Dentist. Dental Therapists are trained extensively on many procedures. As a DT at River Hills Dental, some of the services Peter will be performing are: removal of cavities and placement of fillings, placement of sealants, extractions of primary teeth, placement of temporary crowns and the re-cementing of permanent crowns. Dental Therapists are also licensed to perform all the duties of a dental hygienist, so it may not be unusual for you to see Peter for your routine preventative check-up appointments. We know Peter will help improve access to care for our patients and our community. We hope you are comfortable in asking questions about the duties of a Dental Therapist and trust that Peter will provide you with the clinical excellence you expect from all of us at River Hills Dental. We are very excited about the addition of a Dental Therapist to our office and hope that you will help us welcome Peter back home to Winona! To speed up your dental experience, you can complete your initial paperwork in the comfort of your own home or workplace. Simply Click here and print out the documents, fill them out and bring them in to your first appointment. 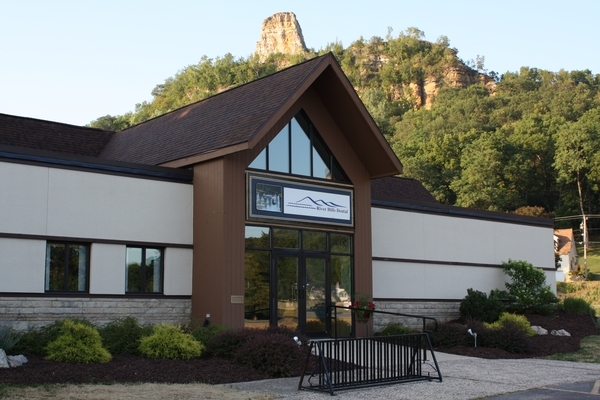 Winona Dentists, Dr. Michelle Stewart and Dr. Courtney Dembiec, are professionals dedicated to Excellence in General, Family, & Cosmetic Dentistry such as Orthodontics, Restorations, Periodontal Disease, & many other dental procedures. Please come and visit Winona Dentists, Dr. Jeffery Cooper, Dr. Michelle Stewart, and Dr. Courtney Dembiec.